Using referral air traffic control like functionality, the person making the referral can select a provider from a list of available and appropriate resources taking into account such factors as wait times and the travel distance from the patient’s perspective. The Novari eRequest module can route referrals directly from point A to B. Alternatively, for a sub-set of referral types, the system can route to a central intake program, which using the same technology, may assess, triage and subsequently route to a specific provider, agency or clinic. Novari eRequest can be configured to route and manage any type of request, referral or requisition for any type of healthcare service (i.e. diabetes, surgical, GP to specialist, ambulatory clinics, palliative care, diagnostic imaging, mental health, addictions, etc.). 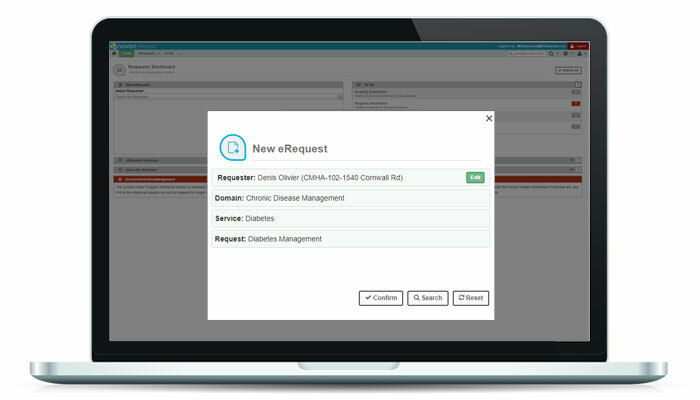 Novari eRequest is used to manage Wait 1 referrals (i.e. GP to specialist) and Wait 3 referrals (post-acute care discharge referrals to palliative care, long-term care, complex continuing care, etc.). 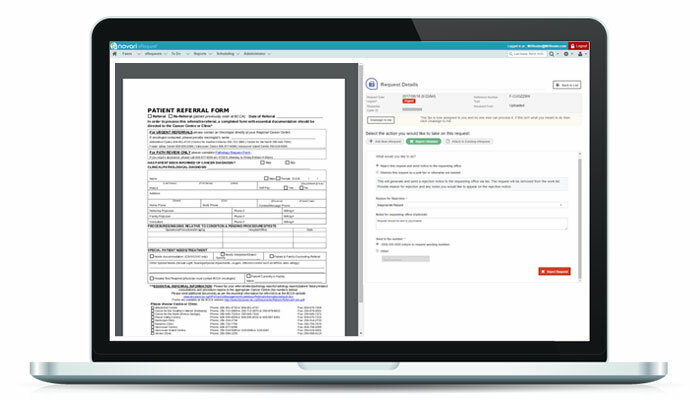 Regional standardized electronic referral forms for each referral type, ensure the person making the referral provides the necessary clinical information for receipt and triage by the receiving provider. The Novari eRequest system is capable of both direct – point A to B – referrals, and/or the routing of referrals via a central intake. Central intake staff managing a referral type(s) can then load balance demand across available providers when routing referrals. Often the person making a referral is unaware of all of the possible provider destinations and their individual wait times. Novari eRequest provides an accurate list of appropriate referral destinations and their wait times along with the relative travel distance for the patient. Using built-in decision support and best practice appropriateness guidelines, inappropriate referrals can be caught up front at the time of referring. When using paper and fax, referring physicians frequently are unaware of the status of their referrals, often for months at a time. 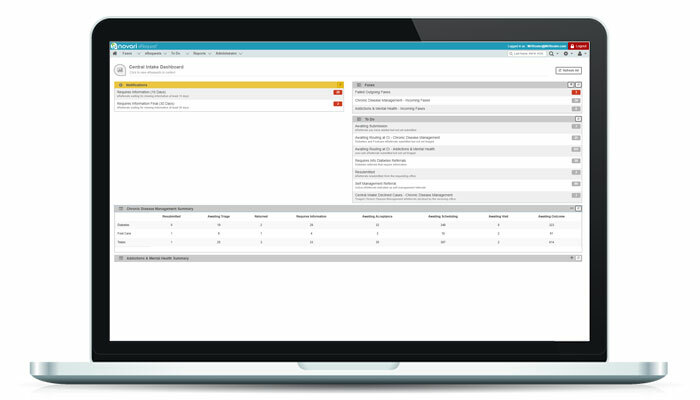 The Novari eRequest® module displays the status of each referral (i.e. sent, received, accepted, declined, scheduled, etc.) as it moves through the system. No more time wasted playing telephone tag trying to get updates on patient referrals. Understand in real time the appropriateness criteria, wait times, processing times, bottlenecks in the system, outcomes and demand for local resources by speciality and services. Often, a referral to a specialist can be avoided altogether if the referring physician, usually a primary care physician, can engage the specialist in a clinical conversation about a particular case. With some clinical guidance from the specialist, many patients can be served faster and more efficiently during primary care. Novari eRequest includes robust “eConsult” functionality that enables these clinical two-way conversations in a secure manner and in compliance with privacy legislation. 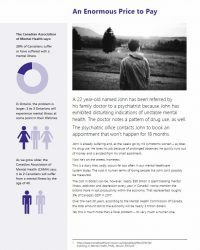 Ontario region dramatically reduces costs for mental health care by as much as 175% per patient with effective use of technology. *Novari eRequest is configurable to many other referral pathways. Contact Us to learn more. The Novari eRequest system is capable of both direct – point A to B – referrals, and / or the routing of referrals via a central intake. Central intake staff managing a referral type(s) can then load balance demand across available providers when routing referrals. 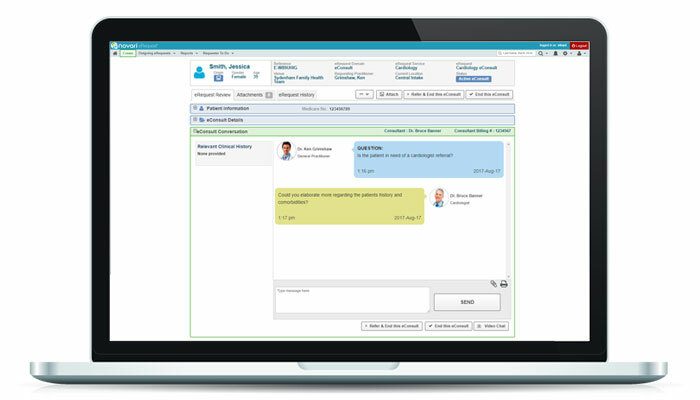 Novari eRequest can be configured for the specific clinical and administrative needs of an unlimited number of “referral types” or “pathways”. The information collected, routing options and workflows can be specific for each referral type. For example, the data collected, the workflow steps and the routing options for mental health referrals will, by necessity, be different than MRI requisitions or diabetes clinic referrals. The workflow steps for each referral type can range from simple to complex and be modified over time. The system’s eConsult feature (Novari eConsult™) allows primary care physicians to electronically consult with specialists. To the benefit of physicians, patients and the public treasury, eConsult functionality has proven itself effective in reducing unnecessary referrals and in reducing consult (Wait 1) wait times. The provision of healthcare involves a mix of both direct (point-to-point) and, for some healthcare services, a single point of entry (central intake) system. Novari eRequest elegantly manages both approaches. The person making the referral can be provided with a list of possible referral destinations for selection and routing. Alternatively, all referrals for certain referral types (i.e. diabetes, hip & knee, MRI, etc.) can be automatically routed to a central intake, who, also using Novari eRequest and acting in an air traffic control-like role, triage the referral and make the routing decision. With the use of the system’s central intake functionality, referring physicians may optionally be provided with the ability to bypass central intake and select a specific provider based on patient preference etc. As any clinic or specialist will readily confirm, requests for services received by fax or paper are often inappropriate and/or incomplete, resulting in delayed or unnecessary visits for patients. Not only does Novari eRequest eliminate these problems, it also automates feedback to requesting providers and supports secure messaging between the parties. In a paper-based system of requests for services, healthcare system administrators and managers have very little or no information on the origin, volume, appropriateness, acceptance rate, processing time, wait times or outcomes of such requests. 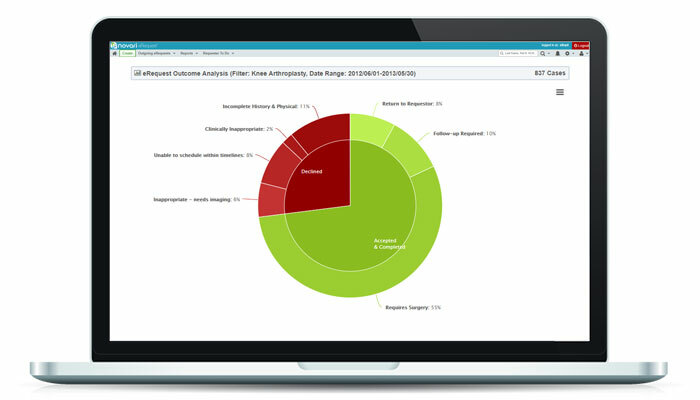 Novari eRequest® sheds light in these areas by providing real-time status of each request displayed to requesting practitioners, central intake staff and resource providers. Novari eRequest uses RSA and AES with 256-bit end-to-end encryption and meets federal and provincial privacy legislation requirements. All data is secured in Canadian Microsoft Azure datacenters.